Individuals with developmental disorders are seven times more likely than other people to come into contact with police and their responses to encounters with the law may not always be socially appropriate. 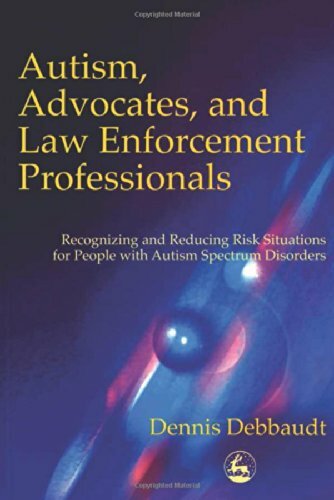 In this book, private investigator and autism advocate Dennis Debbaudt provides essential information for both groups. He explains how typical manifestations of autism spectrum disorders, such as running away, unsteadiness, impulsive behavior or failure to respond, may be misunderstood by law enforcement professionals, with serious consequences. For individuals with ASDs, he offers advice on how to behave in encounters with police and other law enforcement professionals. Aims to raise awareness and facilitate communication between people with autism and law enforcement professionals.